If you’re using a Bluetooth or external mouse on your Windows laptop, the touchpad can become a bit of a nuisance. Luckily, it’s easy to automatically disable the touchpad anytime a mouse is plugged in. This method might differ from one manufacturer to another — in some cases, toggling the touchpad on and off is achieved through manufacturer specific settings rather than through Windows settings. Generally, with most laptops, you can switch the touchpad off by going to Settings > Devices > Touchpad. Under Touchpad, you can toggle off this setting: Leave touchpad on when a mouse is connected. Anytime you plug in a wired mouse or a bluetooth dongle for a mouse, the touchpad will automatically switch off. Not all Windows 10 machines have this option. On Dell Machines for example, you’ll have to go to Settings > Devices > Mouse and Touchpad and click Additional mouse Options to open up Dell’s Mouse Properties. You can also reach this window in your Task Manager. Click the link that says Click to change Dell Touchpad settings. You can turn on the Dell TouchGuard which prevents unwanted gestures while typing, or you can just simply switch it off completely. Do you prefer to disable the touchpad when you use an external mouse? What other tips and tricks do you find invaluable for your Windows 10 machines? Let us know in the comments. 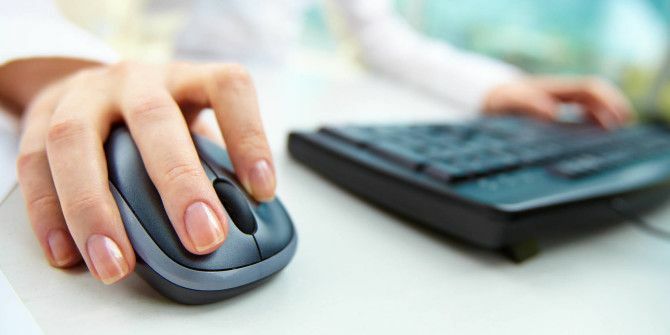 Explore more about: Computer Mouse Tips, Windows 10, Windows Tricks. I have a surface pro 4, and when I tried using this setting, the touch screen counts as a mouse, and so as soon as you untick the option, your touchpad stops working completely, and you need to use your touchscreen to turn it back on.